50 Words on – Why you can go broke with ForexTime? Let’s talk about the infamous Margin Call… the nightmare of all traders: no matter what broker you are trading with, if you don’t have a good understanding of market dynamics and of your own personality, you can go broke. 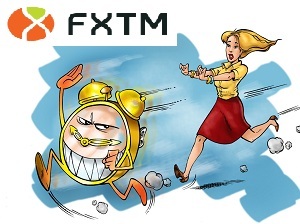 A bad broker will just “help” you get there faster and FXTM certainly offers you some tools to do that: a huge floating leverage that goes up to 1:1000 and a 200% Cashback up to $10,000 for first time depositors and returning clients. The high leverage and the Bonus are not bad things by themselves, but they will destroy your account if used unwisely. If you accept a Bonus, make sure you understand all the conditions and strings attached. If you don’t feel comfortable with them, simply don’t take any bonuses. Even if you don’t accept a Bonus, it would be wise to read the Terms and Conditions document to make sure there are no hidden fees or other things that could become a problem for you. Use leverage wisely and adapt your position size to your account size. In other words, don’t trade big just because you can. Avoid trading at news time because that’s when you’ll have to pay bigger spreads. Do not scalp using EAs. Read the Ugly section for more info. Withdraw periodically until you make sure you are dealing with an honest broker (this applies to most brokers out there). Make a lower deposit than you can afford, in order to test their service and execution. Only if you are satisfied, deposit the rest of your amount. Keep the trade size lower than usual, for the same reason stated above and start to trade your normal position size if you are satisfied with their service. A broker’s service quality is relative, depending on the person evaluating it. I may find some things annoying while someone else may consider those same things an advantage. Let me give you an example: Hisham Younes from Egypt says “… they will call you all the time to support you and offers you more and more promotions…” , then he goes to mention he/she already had about 7 calls that month… and his post was made on the 19th. He/she considers this type of behavior appropriate and even commends them for the good support they offer, but here’s where the differences start to appear: if my broker would have called me 7 times until the 19th of the month, I would probably consider taking my money out if they don’t stop with the sales calls when asked. A user from Saudi Arabia is “proud to call them” his broker  but unfortunately I cannot relate to him either, because I was never “proud” to be someone’s client. Satisfied with the service, yes, but proud…nah. Of course, there’s no shortage of negative comments, ranging from accusations of delayed execution when orders are in profit (Oscar V from Ecuador ) and even cancellation of profits. Not being able to withdraw profits and instead having them canceled is a big issue if it’s true: L.V. from Dresden, Germany was in this exact situation, apparently because he traded a scalping strategy with the use of an EA. Before starting to trade this strategy, he asked for written confirmation that any trading style is allowed (that includes scalping) and the answer was positive. After making “a really good profit”, according to him, he received an email from ForexTime, informing him there’s been a “technical problem” and all his trades have been erroneous. His post is rather long and in response, ForexTime support team encourages him to speak directly to them, without clearly denying anything . 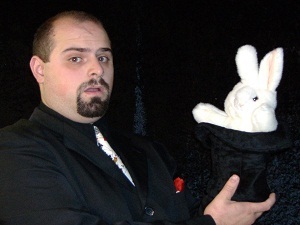 I know that all brokers have positive and negative reviews coming from their clients, but when I hear about profit canceling for no reason, a red light turns on and I try to put as much distance as possible between me and that broker… unless they show clear proof the client is falsely accusing them. The phrase quoted above has become one of brokers’ favorites, because it allows them to widen spreads basically whenever they want. After all, when is the market “normal”? The normality or abnormality of the market differs, depending on perspective: if I expect price to go down and it does, I consider it normal but I am sure some traders wanted price to go north… to them, that behavior will probably be abnormal. I hope we can soon see some real “fixed spreads” but ForexTime is not the broker to offer them for the time being. The fixed spread account also limits your choice of pairs from 64 (FXTM Standard) to 25 so you should take this into consideration if thinking about opening an account. Another thing you should know is that on ECN accounts, the commission is paid double: once for opening the trade and once for closing it, but the entire sum is deducted upon opening the trade. Most brokers that work under an ECN model charge you double the commission so this is not something out of the ordinary, but the Ugly comes out when people start arguing on forums. Should We Welcome A New Kid On The Block? Officially launched in early 2013, ForexTime is the “brainchild” of Andrey Dashin who is the co-founder of one of the biggest Forex brokerages in the business nowadays: Alpari. So, even if we are dealing with a rather new brand, the people behind it have a lot of experience under their belt and hopefully this experience will benefit us, the traders. And since you are reading the “Good” section, let’s focus on the positives: ForexTime doesn’t impose minimum deposit limitations; in other words, you can open an account with whatever amount you see fit. The minimum trade size is 0.01 standard lots and you also have the option to open a CENT account where you can trade microlots, perfectly suited for newcomers to the industry. The platforms used are Meta Trader 4, Meta Trader 5 (mobile versions are also available for iOS, Android and Windows Mobile) and clients have the ability to choose between floating or fixed spreads. ECN accounts are available, with spreads starting at 0 and commissions which are easy to “digest”: max $20 for 1 million bucks traded. Although Forex contests are not really my cup of tea, some of you will be glad to hear that ForexTime offers various contests, both on Live and Demo accounts. Overall I consider them a good addition to the multitude of Forex brokers and maybe the best thing about them is their attempt to be different. Editor’s Note – Is ForexTime a Scam? If they were a Scam, all forums around the internet would be boiling with accusations and with raging clients. So far what we have are isolated claims so ForexTime cannot be considered a Scam, but a big question mark hovers above their heads. Caution is advised. Bottom Line – Would I Trade With ForexTime? No Way. The approach of this broker is not for me. I don’t want to be bothered with phone calls, telling me about the latest “You can’t miss it!” promotion, I don’t want to participate in contests with hundreds of rules and I don’t want any bonuses. Furthermore, I don’t want even a 0.1% chance of having my profits canceled for some stupid reason so for the time being, I will stay away. Great stuff !!! who did this crazy research ? I’ll try now to withdraw , I waited for a round and high number! Great review, I haven’t seen such a honest, comprehensive, and informative review for as long as I could remember. Unbiased, straight forward, and very helpful. I have an account with them and so far it’s been a good experience. Haven’t withdrawn yet though, but I have no issues with their deposit procedures. I haven’t had calls as frequent as my friend mentioned above has had, but I noticed they call and send mails to update you on market conditions, news events and their trading opinions when your account is empty and you are not trading as a result. I never got a those updates again for the past five weeks since I funded my account and not a single call, but I’m okay with that. well this is a very good broker I have to say . I don’t know why you recieved so much call from them. I only recieved one call from them until now, it has been few months after I opened an account with them. Awesome broker. Since I registered I received few calls from my ac manager just explaining what forextime was, I needed it since I was new to forex. Not a single promotion or bonus were offered to me. All the trades and executions goes smooth. I’m very pleased with the service and the platform, will keep on trading with them. Btw in my first month I made nearly 10k, of corse I lost 3k in the first 4 days) but then I cached up. I agree. I think it´s the best broker in the market. what you think aboy forex time broker?? Do u have any information about the relationship between ForexTime and Alpari (SCAM) ? Thank you so much for giving out useful information, i had in the last month experience some of these issue and now, after a request to make a $2000 withdrawer from my account last week. I discovered i lost the same money this week. I was only able to pay in 3 times, but never made a successful withdrawer out of FXTM. I wish I knew all these before now. Kindly advice me going forward. Can i get moneyback? The Disappearing of Price – How Many Trading Indicators are ..